Harmony inhabits the realm of knowingness which is intrinsically intertwined with the very core essence of all humans. The realization of this potential alone is enough to catapult the individual upon a journey that will forever change his/her reality. Harmony comes from the ancient understanding of order; because with order there is harmony; but with chaos there is disharmony. Every once in awhile humanity reaches a point in their development where the gates to the infinite become available to them. This is the testing ground in which we find ourselves upon in this very moment. Humanity is being asked whether or not they can transcend their own understanding of their role in this universe. That which we’ve all learned is what keeps us from accessing these higher realms. We’ve become identified with our individual self; we see ourselves as this body. What we experience while in this body defines us. Yet we are so much more than this body; we are the universe, we are God himself/herself. We have the tendency to identify with portions of ourselves instead of the totality of our self. The whole self is waiting for us to welcome it into our lives. It will bring harmony, peace and infinite bliss. Pain, Suffering and Hardship will be our inheritance until we the people learn to transcend our self-seeking tendencies and realize some things are out of our control. We’re so afraid of our shadow self; we look at evil and think to ourself “That is not me” or “I would never do that” yet in this very moment I can assure you that not only COULD you do it, you HAVE already done it. What humanity will come to learn after the Great Event is that many of us have actively participated and practiced what many call is “evil”. I know many will be shocked; you think from the perspective of this one life; but yet there have been many lives you’ve had. Some were good; others were bad. The finality of this realization is needed in order for a global breakdown of the false belief system. This society of morality is an illusion meant to conceal the collective shadow from the individuals; because if they were to become aware of the shadow; the shadow would lose power over the people. We’ve entrenched ourselves inside a bubble drifting in the sky, we discourage others from popping it because if it were to happen we would fall. Yet while in the bubble we have no control over our destination; we are subjected to winds and they carry us where ever it sees fit. We have been flying in our fantasy world long enough; now is the time that we pop this bubble and fall to the ground so that we may plant our feet upon this sacred planet and decide for ourselves what direction we wish to go. There will be many things that humanity will be required to do if we wish to join the galactic community. One of the hardest things we the people will struggle with will be to accept and love those who have wronged us. Yet that is what is required if we wish to end this cycle of suffering. Otherwise we’ll keep repeating the same thing over and over again. When the perpetrators are revealed and humanity as a collective becomes aware of them it will be our task to love, accept and assist these brothers and sisters. Many will attempt to hunt them down and hurt them; a form of vigilante justice in their mind. Yet this is the very behavior we will have to avoid. Many of these perpetrators are hurting within themselves and they don’t even know it or have been forced into that lifestyle. We struggle with a sickness, one that is very insidious and hard to recognize. People who do evil things are sick. They need our care. Yet that doesn’t mean we allow them to keep doing it; on the contrary it means we make sure their impact is of minimal level. We take them out of their positions of power; we limit the influence they can have on society and we encourage them to get help; but don’t force them. They can live the rest of their life in comfort as long as they have no access to manipulate or hurt others. Death sentences should be avoided at all possible. You cannot repay death with death; that will only breed more death thus continuing the cycle of destruction. As I’ve said before; you may have been just like them or very similar in a different life. The sooner we realize this; the sooner we can heal. When we as a people come to accept, love and heal the perpetrators of this darkness than harmony will be our inheritance and DARKNESS WILL NEVER RETURN. This next phase that humanity is about to embark upon will be the eligibility hearing as to whether or not we as a species have what it takes to join the galactic community. Will we be an example of love, forgiveness, acceptance and peace or will we be an example of anger, violence, hatred and vengeance? The choice is ours and together we will make it one way or another. This is a must for humanity; the time has come that we either deal with our shadow by healing and integrating it or be destroyed by it. Once we as a people use the Darkness to motivate us to reach for the light; than we shall come to the promise land and realize that the Darkness was the Light all along. Our very livelihood is at stake here; will we as species continue to live or will we just be another civilization lost to the sands of time? Seeing the shadow within ourselves is extremely difficult, so it’s rarely done—but we’re really goodat seeing undesirable shadow traits in others. Truth be told, we revel in it. We love calling out unsightly qualities in others—in fact, the entire celebrity gossip industry is built on this fundamental human tendency. Posted in Consciousness, Higher Consciousness, Spirituality. Guess what? We are probably living in a massive, simulated universe created by an advanced Alien Civilization, according to Elon Musk. Tesla and SpaceX CEO, Elon Musk, believes it is very likely that we will live in one of many simulated universes created by a more advanced extraterrestrial civilization, as he expressed this Friday in a long conversation of more than two and a half hours with American comedian Joe Rogan, with who drank whiskey and even smoked a joint of marijuana mixed with tobacco. But don’t worry, the idea of us living in a universe isn’t the result of whiskey and marihuana kicking in, in fact, it’s a theory that has been around for quite some time now. There are many scientists who believe that the universe we live in could actually be a massive simulation, a huge software, and we all live in a Matrix-kind of environment. Musk has said on numerous occasions that there is a possibility we might be part of a massive alien simulation. According to Musk, considering that the universe is about 13,800 million years old, it is feasible to think that a technologically advanced civilization could have created a set of “different simulations” which, he assures, we can call “reality” or “multiverse”. And when you think about it, it actually makes sense. “If you assume any rate of improvement at all, then games will be indistinguishable from reality, or civilization will end. One of those two things will occur,” Musk said. Musk has developed his Alien Simulation rather well, and he seems to understand it better than other scientists who have pondered about such a possibility. Some highlights that I found very interesting! (timestamps are approx.) 9:00 Elon: “I am an alien” 👽 25:00 Neural link will be amazing! Oh and… 2:13:51 Musk hits the blunt! Musk supports the theory that an advanced alien civilization could have created thousands of “false” universes under their control. If so, according to the proponents of this theory, it would be very difficult for the inhabitants of that simulation to be aware of it, since any evidence they could discover would probably have been prearranged and adhered to by their creators. In other words, if we are living in an advanced, massive, cosmic-scale simulation, there’s probably little we can do to corroborate the theory. We might never know if we are living in a simulation, or if everything that is happening around us, is in fact real. 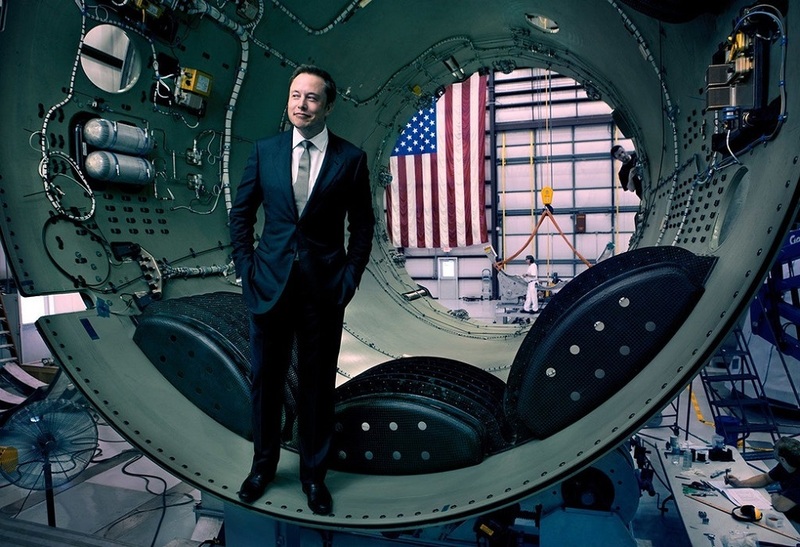 But in addition to speaking about Whiskey, Marijuana, and a universe simulated by advanced alien civilizations, in the interview, Musk and Rogan addressed other issues such as the creation of a tunnel system to reduce traffic in large cities, unregulated and uncontrollable artificial intelligence, as well as the possibility for humanity to explore other worlds in the future.